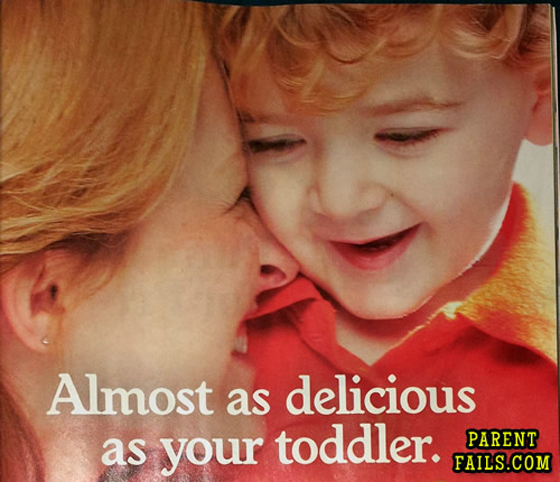 Every now and then, you need to look at some really bad marketing a) to know that you’re doing it right b) to make yourself feel better and c) to laugh at the incredible faux pas that marketers, advertisers and magazine editors make because they #fail to check their work. 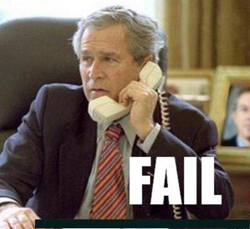 So as a follow up to my last marketing fail post – 15 Legendary Marketing Fails – I’m going to expose a few more marketing blunders. The Thank You Captain Obvious Fail: When you sarcastically thank the marketeer for telling you something you already knew. 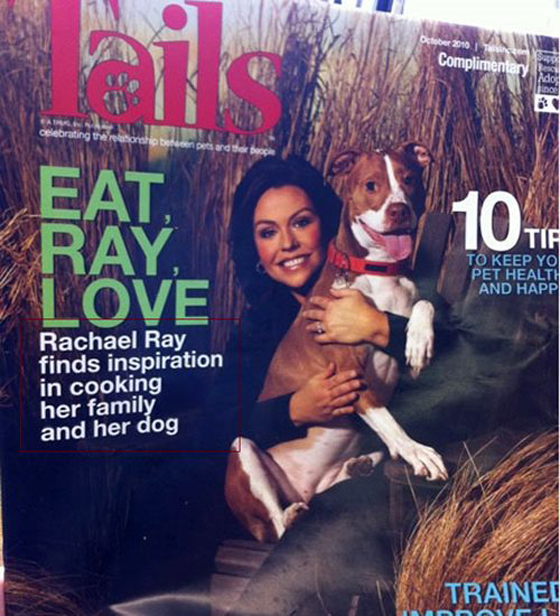 The Oxymoron Marketing Fail: a self contradictory phrase that disappoints or just plain dosen’t make sense. 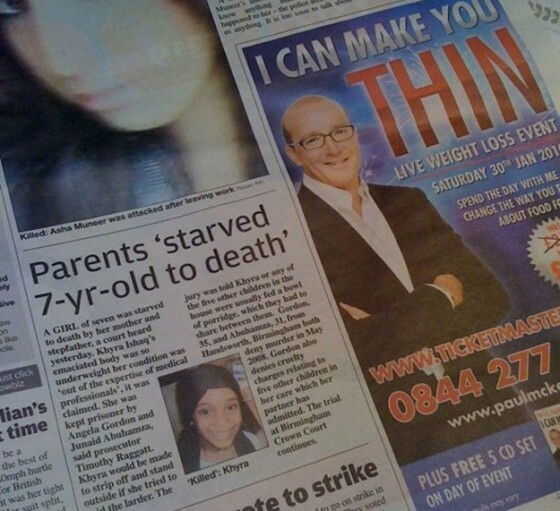 The Ad Placement Fail: When combining your ad with another causes chaos or when placement within the ad causes chaos. The Copywriting, Punctuation or Grammar Fail: You should have gotten someone else to proof your ad. 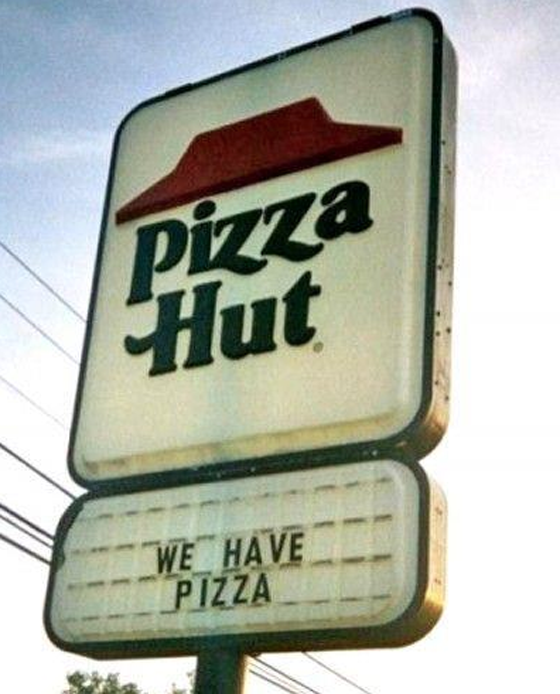 Pizza Hut, you have…dare I say it… pizza? No way! I would have NEVER guessed. They’re always open. 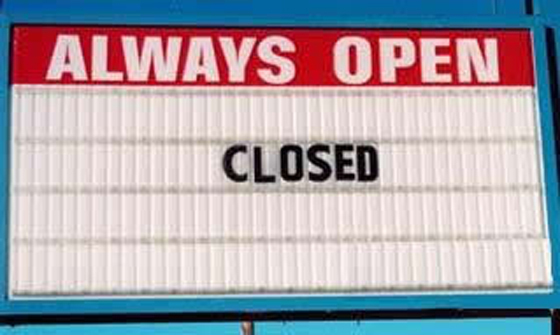 Except when they’re closed. 3. 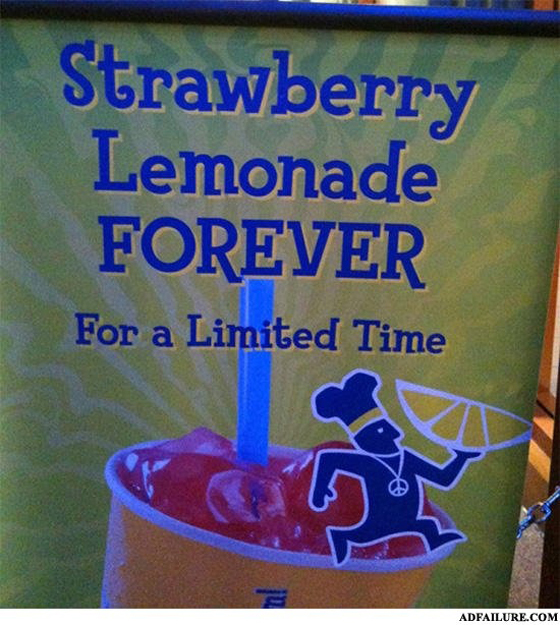 Lemonade forever? Just kidding. Maybe they were trying to reference the Beatles, but don’t tell us it’s forever and then take it back. That’s just mean. 4. The future is what? Come on now, these babies are too young for that. 5. 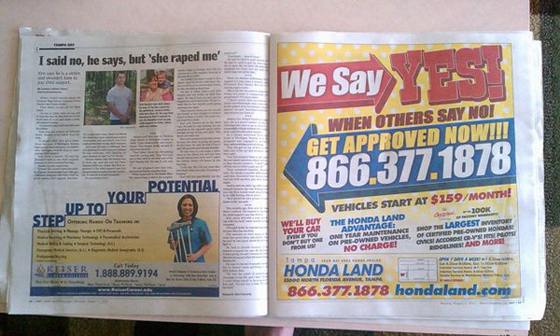 What do you sink about this ad placement? 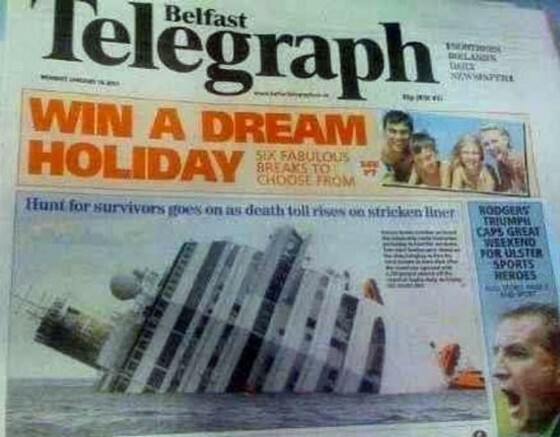 Sure we all loved the movie the Titanic, not so sure if we are sold on making it a reality. 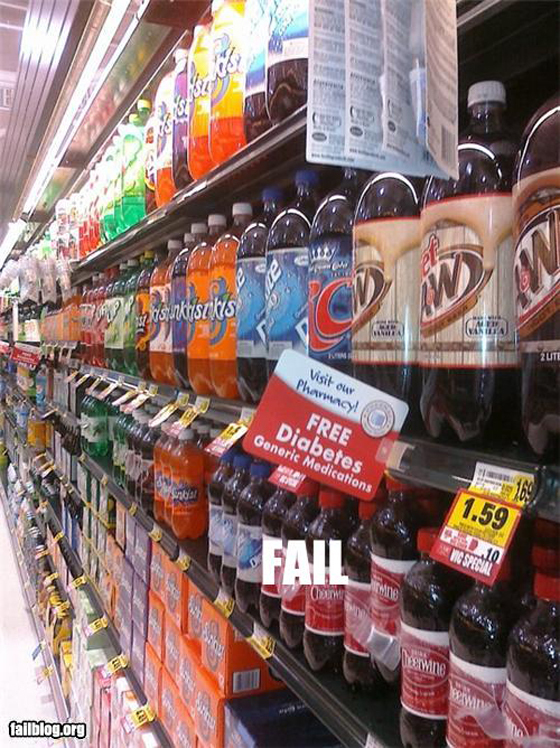 Free Diabetes with my soda? Of course. Why wouldn’t I? When it comes to this ad, we are going to go with a solid no. 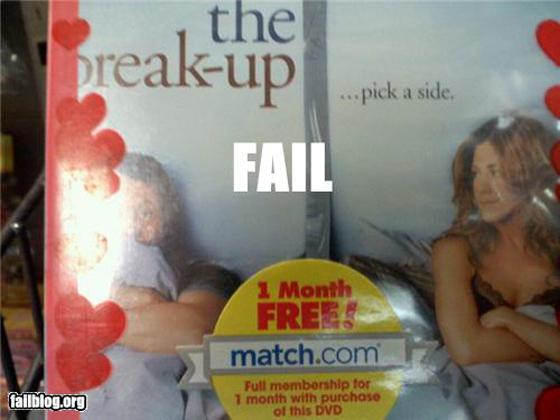 Just the ad you wanted to see after you watched the movie The Breakup. Dear Editor-In-Chief, this article really dosen’t go well with the ad. 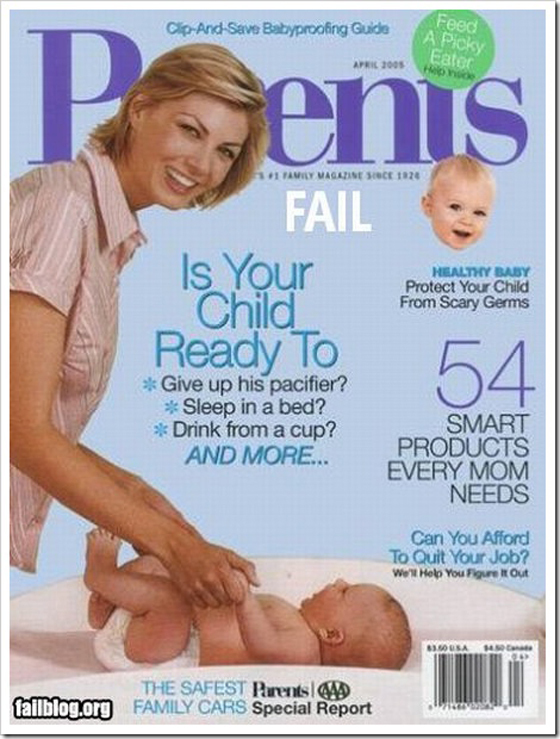 Parents magazine really should pay more attention to its sticker placement. And this is on the front page too. Talk about embarrassing. 11. Writing web copy for a newspaper? It just not the same. If that copy was a call-to-action on a landing page, then the conversion rate would be 0%. We get it, the accent in your name is your brand, but that glaring punctuation is definitely not. 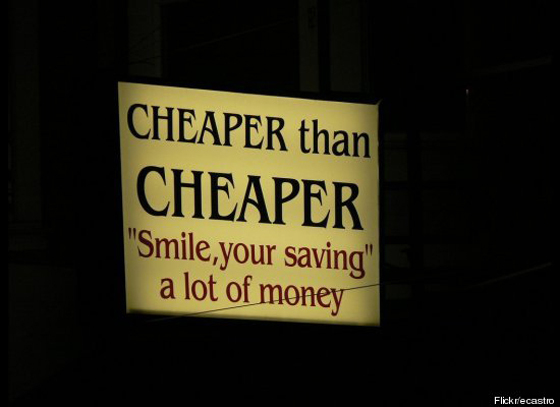 Cheaper than Cheaper? Cheaper than Cheap would have done just fine. And although I’ll be saving, I won’t smile until you learn how to write “you’re” properly.